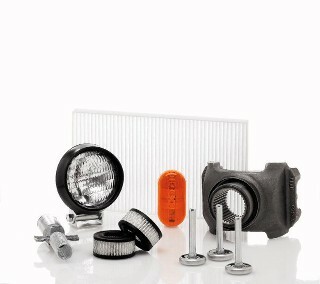 Highway Motors has a full range of parts to keep your Medium and Heavy Duty Truck on the road. With bi-monthly parts specials and Fleetrite parts we have the right part with the right price. With Truck Service Departments, a Truck Body Shop, and a Trailer Repair Shop, we have the Repair Service for your truck. Our Service Technicians are factory trained in the latest repair procedures and have many years of experience working in the Medium and Heavy Duty Truck Industry. Using computerized engine and body diagnostics we have the ability to repair your truck right! For information about our On Command repair services click on the logo below. Highway Motors, Inc. is a heavy and medium duty truck dealer, and is now celebrating 80+ YEARS of service from our location in Harrisonburg, Va. We are a dealer for both International and Mitsubishi Fuso trucks. We expanded into the Roanoke, Va. area in 1994 and the Winchester, Va. area in 2001 giving us access to the entire I-81 corridor through Virginia. We offer IDEALEASE truck leasing and rental, and have a Trailer Repair shop in Winchester and a Truck Body shop at our Harrisonburg location. Our Service Departments, coupled with next-day emergency parts access, make us a wise choice for your trucking needs. We have DPF Cleaning at our Roanoke and Harrisonburg locations and can transfer from our other locations.